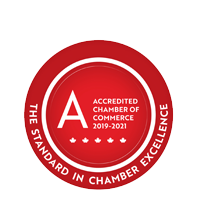 Bistro (The) | Restaurants | Banquet, Event, Meeting Spaces & Halls - Business Directory - St. Thomas & District Chamber of Commerce - ON, ON ? The Bistro and owner Roy Ewart have a comfortable & casual fine dining atmosphere that is unique to St. Thomas. Renowned Chef Rhys Lloyd has created a menu that is not only family friendly but features popular Bistro lunch specials and evening casual fine dining experiences found nowhere else in St. Thomas. Sundays are also hit with a specially priced dinner of Roast Chicken or Pork Loin served family style. The Bistro also has a private room for those special celebrations with friends and family or for business gatherings. An amazing menu delivered with personalized service, all in a family friendly atmosphere in downtown St. Thomas, 625 Talbot Street near the L&PS train station & Railway City Tourism office.